Rather than mark the end of conflict, the end of World War II began a half century of ideological, political, military, economic struggles, and many with century-old antecedents. This work brings together in encyclopedic format most of the major events of the last half century that can be classified as conflict. While war is the ultimate conflict, the volume includes assassinations, coups, insurgency, terrorism, massacres, and genocide. 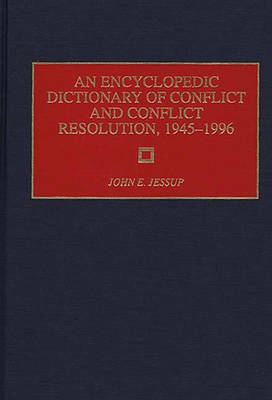 It provides detailed information on the people, places and events that have produced conflict and its resolution since 1945. Many entries trace the antecedents of events back through history to illustrate continuity and change. The troubled Middle East and Africa, for instance, are seen today as the result of tensions that have developed over decades, of colonialism, exploitation, and ethno-religious antagonism. The reader will be able to understand the backgrounds of the individual players and gain a better understanding of why conflicts occur and how they can be resolved.